I am always reviewing what I put on my skin to try and help with spots, anti ageing etc but it is also important to think about what you are putting into your body. I am not the best person to talk about food as I could live off junk food but one thing I do is I make sure I drink enough water. It is so important to keep hydrated, not only does it help with your skin and nutrition but I find it helps with my migraines. 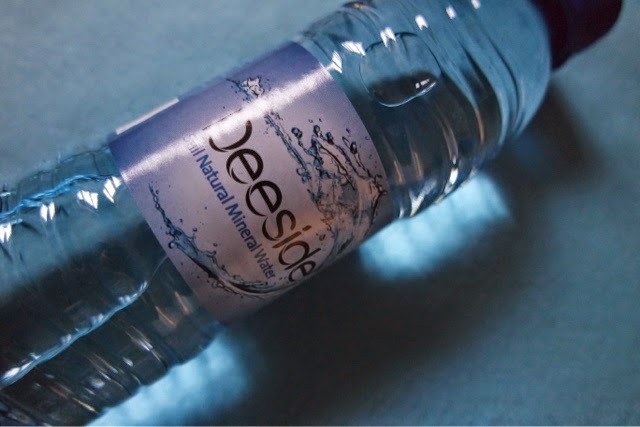 I have recently been drinking Deeside water during the day whilst I am at work to see if it really makes a difference. Apart from feeling hydrated and not feeling so headachy I wanted to see if it helped my skin. I drank this water for two weeks and surprisingly enough it did help my complexion. My face hasn’t been so dry and I feel a lot better in myself as well as looking healthier!